Welcome to my personal website, where you can find blogs about books, babies, pastries and the bits of life that happen in between. Don’t Panic! A story of living with postpartum anxiety. My son is exactly two months old. He sleeps in his swing while I surf facebook and binge on Netflix. My husband has been out in the field for almost a week. It’s just Richard and I, enjoying a quiet night as usual. As I mindlessly scroll down my news feed a terrifying sensation washes over me. A giant fist suddenly has an iron grip on my abdomen. I twist and turn, looking for an escape. My laptop finds itself on the floor as I flee towards the bathroom, hoping for relief. But it doesn’t come. Instead my fingers and toes begin to tingle. A weight is dropped on my chest. My legs feel like liquid as my hands shake and my heart races. I can’t think. I can’t think. I can’t think. I’m dying. I rush to the neighbors. Bare feet, tank top, sweats, and hair that hasn’t been washed in days. Doesn’t matter. Something’s wrong. Something’s very wrong. I ring their doorbell incessantly, desperate for help. By the time they answer, the tremors have spread from my hands to my arms and legs. I stutter a plea for help between gasps. My mouth has gone dry. I can’t stop dry heaving. I can’t breathe. I can’t think. I’m dying. I sit down on the pavement as they run around gathering my son, gathering the car, gathering me. I whisper a prayer, “God it’s okay. It’s okay. If it’s time, it’s okay,” and it’s almost as though I’m free of myself for a moment. The world stops feeling real. I stop feeling real. None of this is really happening. I’m in a sick dreamlike state. And I’m dying. And it’s okay. It’s okay. Five minutes later I felt nothing but a bone deep fatigue. Diagnosis: panic attack. My reaction? No. Freaking. Way. The panic came back during my second day in the hospital, and I was actually hopeful when the doctor said it might be a pulmonary embolism. I secretly wanted them to find an abnormality during my 24 holter monitor. I begged for my body to fail the stress test, or the lung function test – please show something’s off on the ultrasound! I was disappointed to discover that I was perfectly healthy. No, worse than that. I felt embarrassed and ashamed. My husband was rushed out of the field when I was admitted, his whole troop under the impression that something serious had happened. I felt humiliated knowing that he had to tell them the truth. I felt small. In some way, I had failed. That first trip to the ER marked the beginning of my battle with postpartum anxiety and panic disorder. It’s been exactly two months today, and up until this point, I could count on my fingers the number of people I’ve shared my battle with. Even fewer know that I’ve been rushed to the hospital twice or that my anxieties reached such a height that I was afraid to drive, afraid to eat, even afraid to sleep. Why? Because some part of me still feels ashamed. I feel like I’ve wasted so much energy. Even on my best days, I still have a tendency to obsess over the tightness in my neck or the buzzing under my skin. And on my bad, it takes every ounce of willpower to stay out of the emergency room and not fall victim to catastrophic thinking. I’m used to putting up a front, even at my worst. I didn’t want the stigma associated with mental illnesses, so like millions of others, I’ve kept silent – emptying my struggles on only a select, trusted few. But I don’t want to be quiet about it anymore. Being ashamed of my disorder only reinforces the stigma. I don’t want pity, and this is not an act of bravery. It’s a simple statement of fact and acceptance. My name is Amber and I have panic disorder. I’m on a fantastic road to recovery, and there’s been beauty hidden in the battle – a body of support who has loved me through my worst, an incredible husband who coaches me when the attacks take over, and the realization that I am stronger than this. The first time I managed to stop a severe panic attack in its tracks, I felt powerful. I gushed to my husband for hours. I messaged those close to me to let them know my success. I was brimming with joy! It’s just proven that panic may be part of me, but it is not me and it will not get the final say. My love goes out to anyone who suffers through their anxiety in silence. You are not alone. You are not crazy. It is not all in your head. And you can beat this. Yes, even R2D2 is getting in on the action. But before I go any further, I’m just going to put this link up right yonder: www.alsa.org/donate/ (because let’s face it, donating is far more impressive than dousing yourself in cold water). And actually, before I even step into the realm of discussing the ice bucket challenge, let’s talk about the less entertaining side of this whole shebang. Let’s talk about ALS. It’s a horrifyingly awful disease that attacks nerve cells controlling motor function – specifically nerves controlling voluntary motor functions, such as walking, speaking, and even potentially breathing. ALS sufferers remain completely cognitively aware as their bodies deteriorate and eventually fail. It’s one of those diseases that ranks up there with Huntington’s and Alzheimer’s – absolutely terrifying. The Ice Bucket Challenge exists to create awareness and generate donations to help fight ALS. I’ll admit it. The cynic in me turned her nose up at the idea. It’s classic slacktivism, or lazy activism, at its best. I became further frustrated when I started seeing #IceBucketChallenge pop up on my feeds with no mention of ALS at all. It’s a freaking fad, screamed angry inner-monologue Amber – one that began by challenging people to dump the ice and donate $10, or fail to do so and donate $100. The water wasn’t supposed to be in lieu of donations. But then something beautiful happened. Videos of ALS patients taking on the challenge began cropping up. I saw gratitude. I saw courage. I saw the face of the campaign, and they weren’t cynical or frustrated or disillusioned. I saw smiles and laughter and I cried like the giant, hormonal pregnant woman that I am. It completely changed my perspective. Yes, this is a fad. Yes, it will likely die out soon. No, it’s not meaningless slacktivism. The Ice Bucket Challenge has raised more than $40 million for this cause. It has spread awareness. But even more than that, it’s spread hope. I began this post with a silly video, in keeping the spirit of the blog, but I want to end it with the only ones that have had any impact on me. I don’t care to watch celebrities get drenched, and I’ll be honest, I scroll right past all the videos on my feeds of family/friends. These are the videos I care to see. An open letter to my unborn son. Someday you’re going to discover the truth, so we might as well air it out now. Your mom and dad – we’re geeks. And proud. And by the time you understand that, it’ll be too late for you. You’ll be one too. It’s more than okay. It’s fan-freaking-tastic. And I’ll be the first in line to tell you so, because nobody ever bothered to tell me that when I was growing up. You see, your mom always felt like she had to choose. I could either be the gamer girl who loved anime or I could try to be one of the “cool kids” who turned their noses up at the former. You can guess which option I took in high school. Rich — it. Was. Miserable. I happen to be an introvert (which seemed like a damn shame at the time). The few friends I had never knew that I spent my free time at home mastering healing macros on FFXI, daydreaming about YuYu Hakusho, and nursing my addiction to Neopets. These were some of the most interesting things about myself, and I hid them away. I chose to be boring so I could paint a pretty picture for the world. Better to have no hobbies than fall victim to social stigma, right? I’m here to tell you that you don’t have to choose. There doesn’t have to be a separation between geekdom and sociability. And I sure as hell hope I teach you better than to shame yourself for enjoying something you love. Honestly, it took meeting your father for me to even realize that that’s exactly what I was doing. Your dad – typical high school jock, captain of the football and wrestling team, Mr. Popularity – is and always has been a complete nerd. I’m not kidding; the guy grew up on LAN parties, Neverwinter Nights, and MTG. But the beautiful thing about it? He doesn’t hide that fact. Ever. Our idea of a good Saturday was watching a marathon of Stargate while playing Heroes for eight hours straight. I remember spending an entire day on the couch to celebrate purchasing all the extended editions of LOTR. Little by little, nerd Amber came out, and I have to tell you, it was so liberating to meet someone who saw me clearly and loved me because of (and not despite) my quirks. Someday I hope to be for you what your dad was for me – that pillar of acceptance and encouragement. I hope you take after him and wear your hobbies with pride. I hope that when your friends ask you what you did over the weekend, you’re not embarrassed to brag about your paladin slaying that dragon. But most of all, I hope you never feel like you have to put on a mask for the sake of someone else’s expectations. Be honored to be nerdy like Momma. I promise you, weird kids make for the most interesting adults. Chances are the above video has already been pulled by the time you get a glimpse at this. If so, do yourself a favor (if you haven’t already) and search for the “leaked” Deadpool test footage. Are you smiling yet? ‘Cause I sure as heck am. At any rate, I’m not sure I want 20th Century Fox to make a Deadpool. I can just see them watering down our fourth-wall breaking, profanely psychotic anti-hero to avoid alienating the younger audiences. Secretly I’m hoping that eventually Marvel Studios will buy back the rights to Deadpool, grow a pair, and put this movie into production. It’s already been proven that obscure comics can generate a large audience. Cue Guardians of the Galaxy reference. But until that day, I suppose this minute and half of pure awesome will have to suffice. 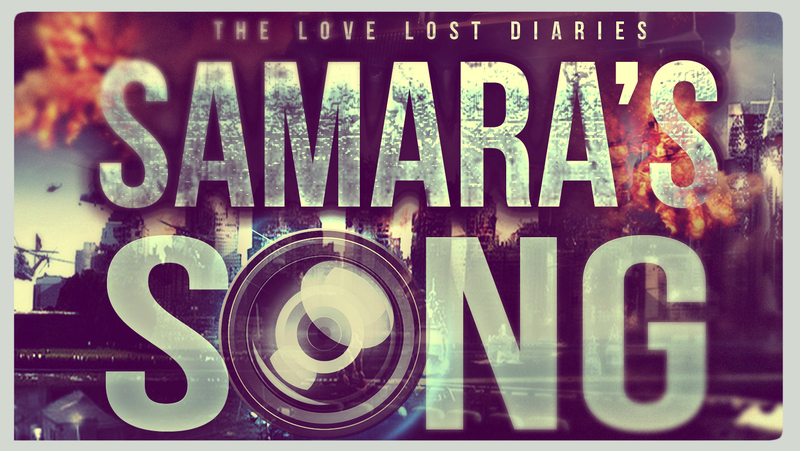 Don’t forget to pick up a free copy of Samara’s Song, this weekend only (Aug 8 – 10). My last name isn’t pretty, should I use a pen name? I have grappled with this question literally for years, and up until a few weeks ago I was dead set on the answer being hell yes. Let’s be honest with each other, Feldkamp isn’t exactly a beautiful name. It definitely doesn’t evoke that dark sense of romanticism that I want to associate with my writing. It’s more reminiscent of schnitzel or wurst or some other painfully German word (excuse my pregnant brain for associating everything with food). Feldkamp is just not the name I envisioned on the bottom of that first bestseller. I wanted glamour and sensuality. I wanted a name that really stuck with my readers. But more than anything I wanted to marry a man with painfully obvious Germanic roots. But no worries, there’s a bandaid to cover that ugly name! Enter the world of pseudonyms – or more commonly, pen names. Hey Lewis Carroll (legally Charles Dodgeson) did it, and look where he wound up. So if I want to recreate my name for the sake of branding, then dammit I’m going to do it. Ugly names can become memorable. Case in point, Janet Evanovich – heard of her? There are 3 good reasons to use a pen name: Your name is George Martin. You work in a field that deals with client confidentiality and are not keen on getting sued. You write material that you don’t want associated with your personal life, cue erotica authors. There are a lot of really bad pen names out there. If you’re going to use a pen name, own it. But first, make sure it actually sounds and looks like it could be a real name. 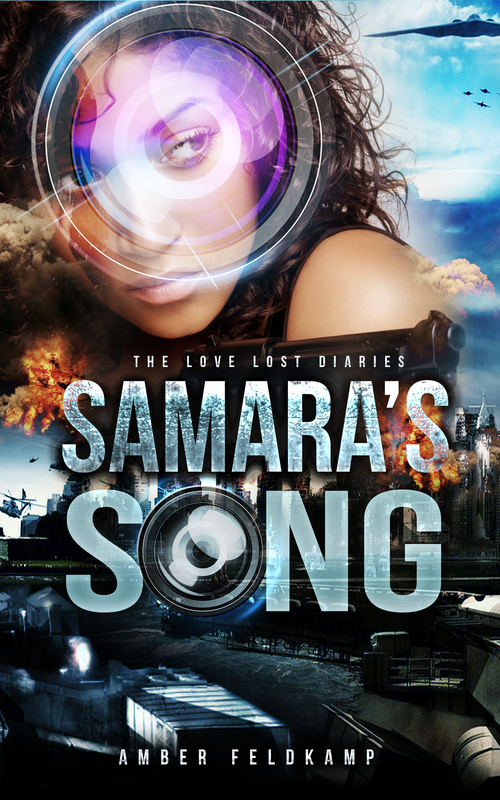 Being the only author with your last name on the market is not a bad thing. Amazing names don’t sell books. Amazing writing does. In the end, it’s your content that’s going to attract your audience. Not the author tag. Conclusion: If you really want to use a pen name, more power to you. But consider why first. You got a marketing scheme planned out? Can’t even pronounce your own name half the time? Think you’ll actually succeed at some degree of privacy? Go for it. As for me, I’d like to make Feldkamp a household name. Even if it’s an ugly one. Ethan Chase sounds like the name of an actor. Ethan Tremblay doesn’t make any goddamn sense. Okay? It’s confusing. It sounds like it was made up.